Planet X are proud to be the ONLY bike company in the UK (if not the world) who are able to offer their customers a complete end to end pro level bike buying experience including access to Retul motion capture bike fit technology as used by today’s top pro teams and riders. 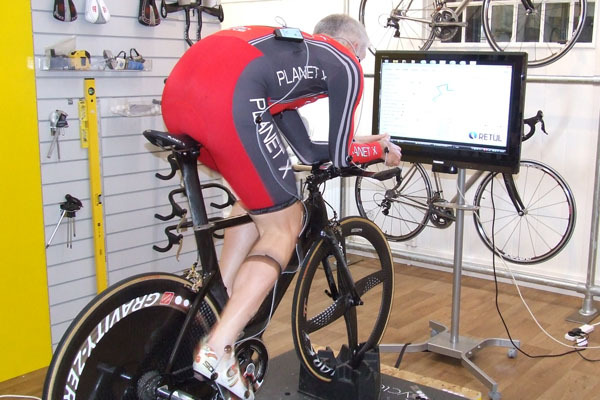 From Tuesday the 4th of May Bike Science head fitter Andy Sexton will be available for Retul bike fits at the brand new purpose built Planet X showroom in Rotherham. Clients can take advantage of the most accurate and up to date bike fit technology available with one of only two Retul certified fitters in the UK on their existing bike or if they’re buying a new bike from Planet X.
Retul fittings available in Rotherham on the 1st and 3rd Monday and Tuesday of each month from May the 4th 2010. 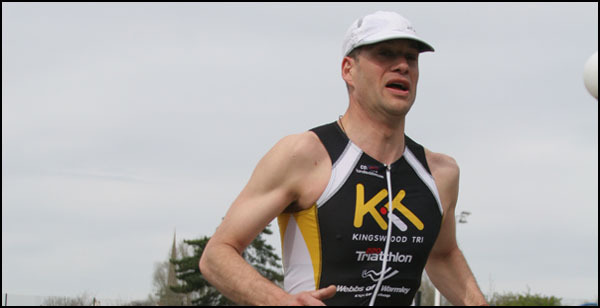 Congratulations to all of those of you who took part in the inaugural Monmouth Triathlon supported by Bike Science. All competitors are offered £25 off a Bike Science Level 2 Bike Fit in Bristol. Simply Contact us with your name and race number to make a booking. If you’re one of the two prize winners to receive a prize of a FREE Retul Level 2 bike fit, the race organisers Black Sheep Sports will be in touch with details of how to claim your prize this week. The all new Planet X Nanolight road bikes went on sale for the first time this week. Planet X continue to push the boundaries of high performance great value road bikes with their latest creation. The all new 920g Nanolight Pro Carbon is stronger, lighter, stiffer and more responsive than its SL Pro Carbon predecessor. The Nanolight full Dura Ace 7900 Elite build is now available to view in our Bristol Showroom. Complete bike prices start from £1999 with full Ultegra 6700 groupset, carbon wheels, bars and seat post. Why not take advantage of our half price Retul fit offer and bag yourself the perfect bike with a perfect fit? 1/2 Price Level 2 Retul fit offer applies to any Planet X bike purchased from Bike Science Bristol from now until April the 30th 2010. What are you waiting for? BOOK YOUR FITTING ONLINE NOW.